We are a few days away from the Xiaomi’s big launch on May 31. Xiaomi hasn’t confirmed anything on the products launching at the event but we are getting a bunch of leaks and rumors about the launch of the Mi 8. 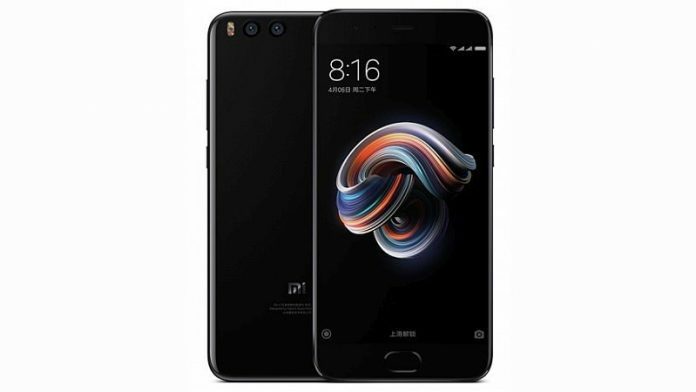 Today, another leak has revealed that alongside the Mi 8, another phone dubbed as the Xiaomi Mi Note 5 could also be launched on May 31. Xiaomi Mi Note 5 will be the successor to the Mi Note 3 which was launched last year in China. Xiaomi is already skipping Mi 7, so it is quite possible that they will also skip Mi Note 4. As number 4 is an unlucky number in China and manufacturers avoid to use number 4 in model numbers. OnePlus also skipped the OnePlus 4 and launched the OnePlus 5 instead. Coming to the leaked specifications of the Mi Note 5, the marketing material of the phone is making rounds on the Chinese social media. The smartphone is said to be featuring a 5.99 inches Full HD+ display. The smartphone will be coming with a Full Screen 2.0 design, the design will be inherited from the Mi Note lineup with a curved display. The smartphone will be sporting the Qualcomm Snapdragon 835 chipset coupled with 6GB RAM. The smartphone will also feature 64GB of internal storage which might be expandable via microSD card. The smartphone will come with 43 LTE bands and also comes with 4-axis optical stabilization. The camera specifications haven’t been leaked yet. The only leak is a picture shot from the Mi 6 showing a piece of paper with Mi Note specifications, the number “5” is hidden but the specifications are clearly visible on the paper. 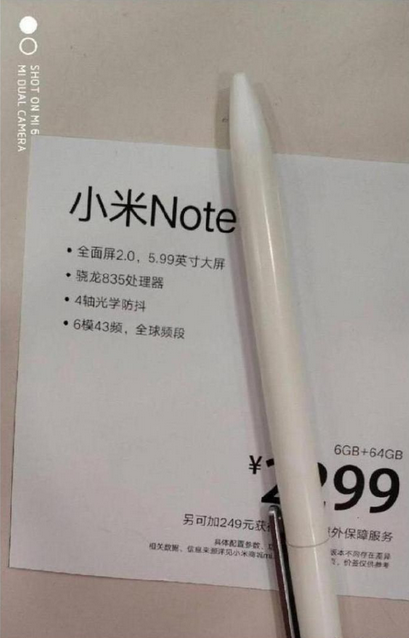 The price of the smartphone is also listed on the paper which is also hidden, it seems to be 2,299 Yuan (approx. Rs 24,183) written there.